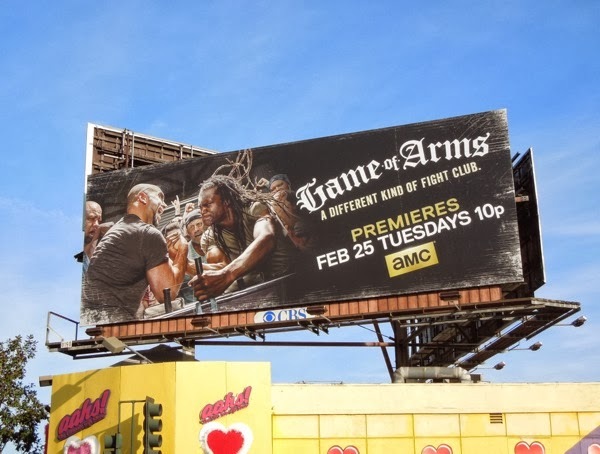 Move over Game of Thrones, there's a new epic power struggle in town, and its name is Game of Arms. 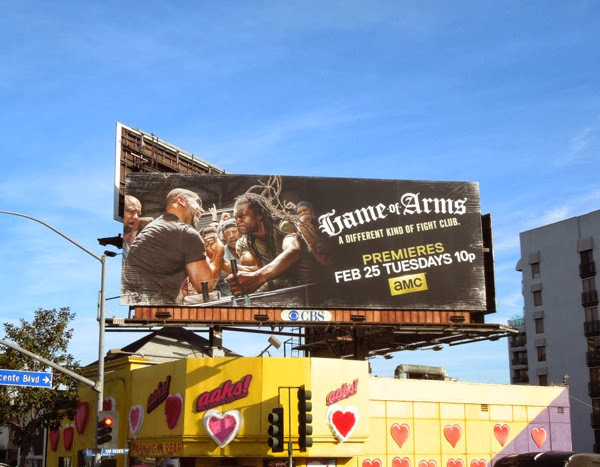 Billed as 'a different kind of fight club', is there really a whole series worth of episodes about American arm wrestling? 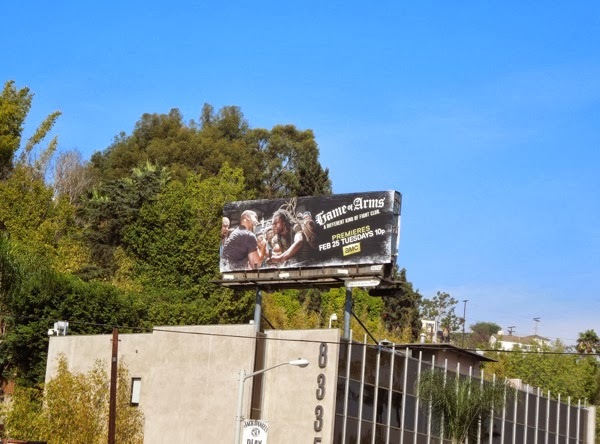 Apparently so, as the series will not only offer insights into techniques, skills and strategy of the sport, but it'll also focus on the competitors and their family, careers and personal struggles. 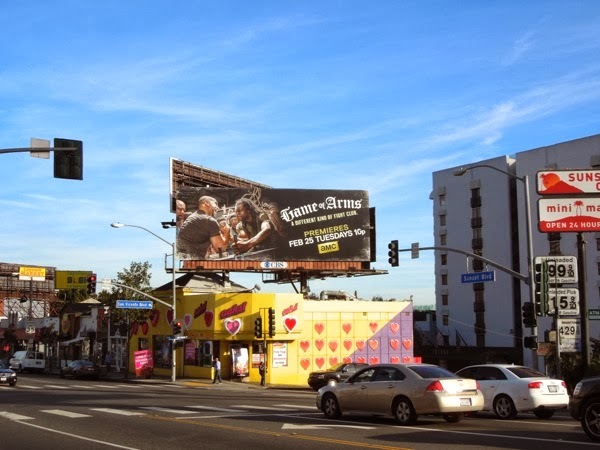 The standard landscape billboard for the new AMC show was photographed along Sunset Boulevard on February 12, whilst the smaller version was spied further east high over the Sunset Strip on February 17, 2014. 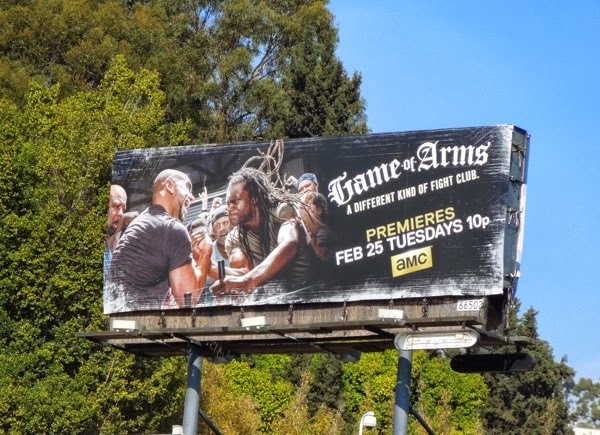 Daily Billboard is sure this show will attract fans of the WWF, UFC and the like, but personally we'll be sticking to watching the zombie apocalypse in The Walking Dead on AMC.